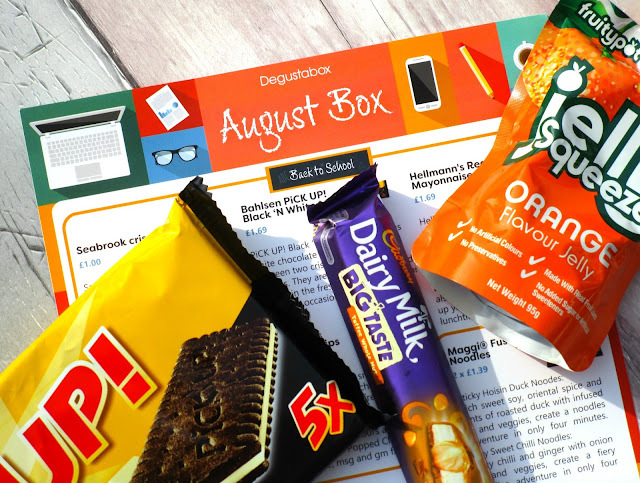 This month we have a 'Back To School' themed box filled with 16 yummy drinks and snacks some of which are perfect for our lunchboxes. Lets kick things off with my favourites... the sweets he he. 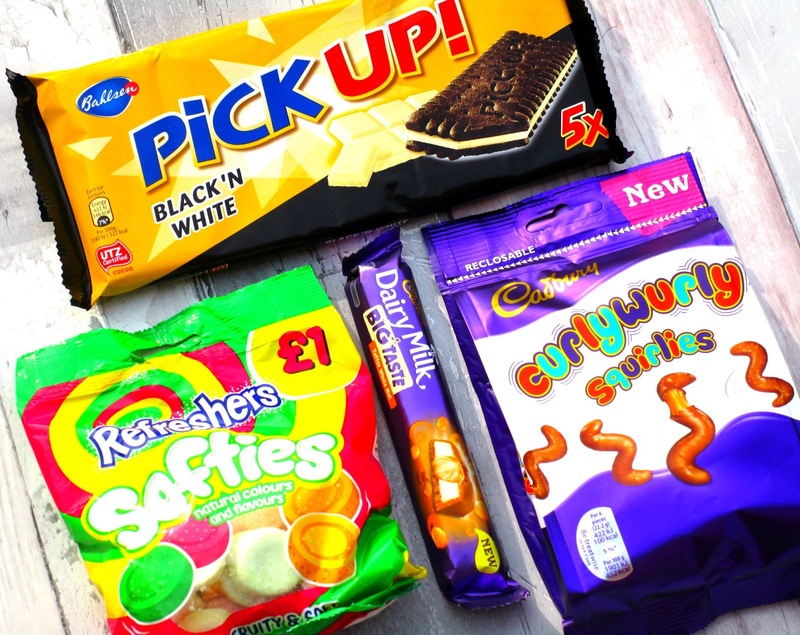 Firstly we have two yummy treats from Cadburys to sink our teeth into, the Curly Wurly Squirlies (£1.99) and a bar of Big Taste Toffee Whole Nut (65p). In my opinion you cant beat a bit of Cadburys chocolate and these two wont be lasting very long with me I tell ya! Theres also a bag of Refreshers Softies (£1.00) to try, I used to love Refreshers when I was little so I'm excited to try this new spin on them being more of a gummy sweet than a hard one! The final sweet treat is a packet of Pick Up Black 'N White (£1.69), they are essentially two chocolate biscuits with a slab of white chocolate in the centre sandwiching them together, so yummy! Next up is a couple of savoury snacks perfect for your lunch box, firstly theres two bags of Light Bights Popped Chips (99p each), these goodies are under 100 calories a bag, gluten free, veggie friendly and are packed full of fibre and protein, the two flavours I got sound incredible too so I'm looking forward to tucking into those! 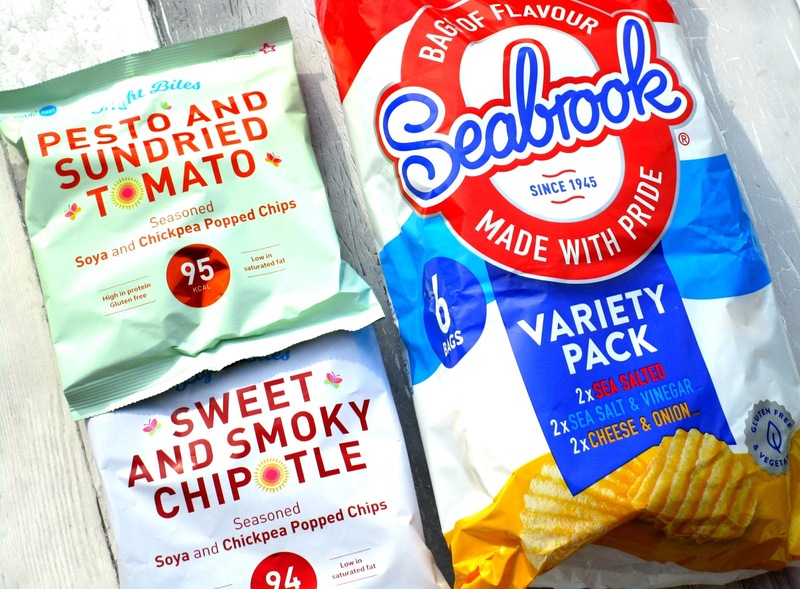 We also have a variety bag of Seabrook Crisps (£1.00), these are gluten free, crinkle cut crisps and I've already dived into the sea salted flavour and their so good! Theres quite a few drinks to try this month starting with two bottles of Orangina (£1.20 each), I used to love Orangina when I was little, it was always such a treat drinking out of a heavy glass bottle however...these are actually both in limited edition summer bottles which are plastic, so much better for those lunch boxes hey! 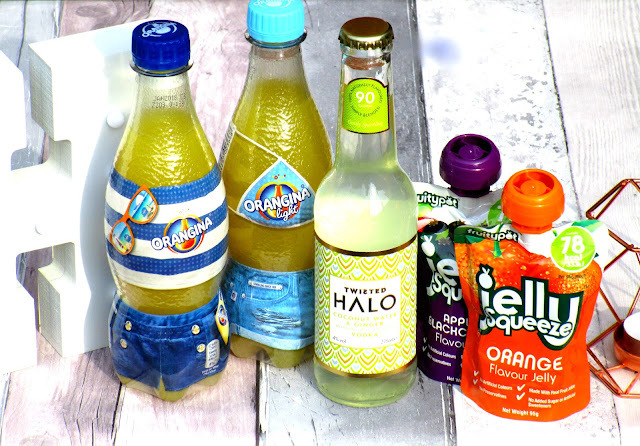 Then theres a bottle of Twisted Halo Coconut Water, Ginger and Vodka (£1.50) probably not so school friendly (LOL) but it sounds absolutely yummy, I'm looking forward to trying it out that's for sure. Finally theres two Jelly Squeeze (69p each) flavoured jellies to try, these are so perfect for a pack up because not only are they in a handy little pouch they are re-sealable too so you can save half for later, such a brilliant idea for kids I think! 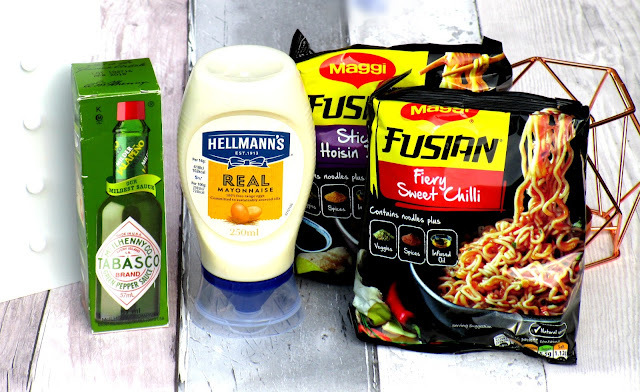 I'm finishing this months box on a savoury note starting with Maggi Fusion Noodles (£1.39 each), these are great to add in with a stir fry or to have as a lunchtime snack, the flavours are super yummy too. Theres also a bottle of Hellmann's Real Mayonnaise (£1.69) which is not only a sarnie staple but a dipping sauce for me, anyone else love dipping their chicken nuggets and chips into mayo, YUM he he. Finally this month we have a bottle of Tabasco Green Pepper Sauce (£1.89), this is great when you want your cooking to have a kick to it, wowza! I love these boxes! Every month I tell myself I need to buy it but I always have so many things in the cupboard I should use up first then buy this to replenish and try new things! Some favourites of ours in this box too!! Great post! 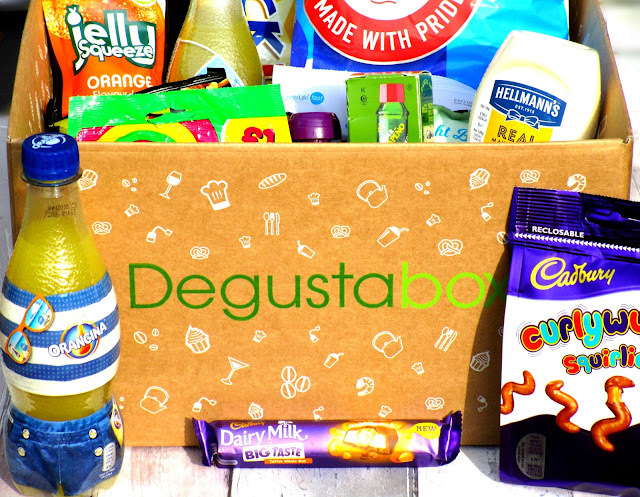 After seeing many Degustabox reviews I'm thinking of trying it! The products always look really tasty and it seems you get a lot in a box for the month. Tanya Burr's 2017 Christmas Collection REVEALED! Festival Essentials by Urban Decay! Technic Cosmetics Review - Beauty Bargains Alert! Lip of the Day featuring Kylie's Candy K! Rimmel #Insta Fix & Go Setting Spray Review! My Favourite Foundations For The Summer!